New details emerged on Wednesday about what former Homeland Security secretary John Kelly was doing when President Trump announced that the retired Marine general was the new White House chief of Staff. Kelly was on a U.S. Coast Guard jet heading toward Washington's Reagan National Airport on Friday morning before Mr. Trump made the announcement, which quickly went viral on Twitter. 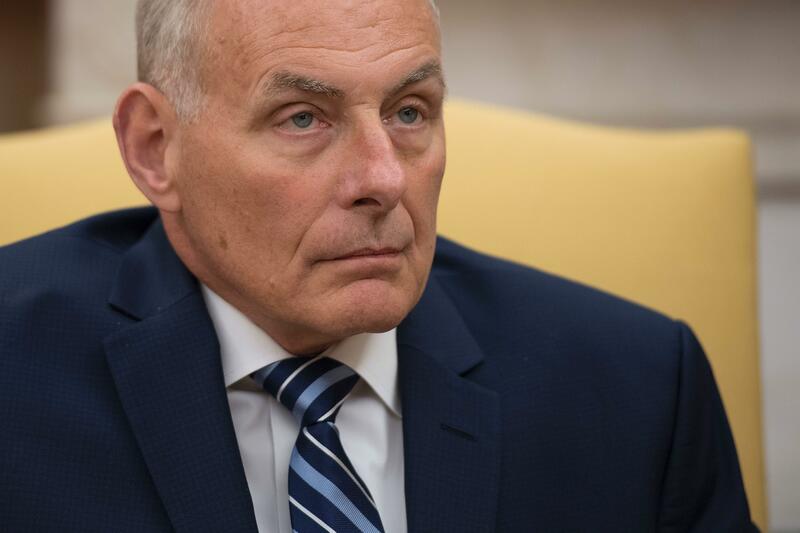 David Lapan, assistant secretary for public affairs at Homeland Security, said Kelly had been traveling back from the West Coast on a work-related trip before Mr. Trump tweeted about the staffing change. It wasn't surprising information for Kelly, who had already accepted the position. Mr. Trump was flying back to Joint Base Andrews from a speech in Suffolk County, New York when he sent the tweets. According to Lapan, Kelly had multiple conversations with Mr. Trump about taking the job. Kelly knew that the announcement was coming, but it's unclear if he knew it would happen Friday morning. The Marine Corps general was formally sworn in as White House chief of staff on Monday. Lapan, who could be in the running to become the next White House communications director, told reporters on Wednesday that he has not been offered that job and refused to comment on whether he would accept the post. On his Facebook page, Lapan elaborated on a potential move to the White House: "To say things have been a whirlwind since Friday afternoon would be an understatement. Since then, I have heard from many friends and colleagues asking what's next for me, with some suggesting I might end up in the West Wing ... I have not been asked to consider a position in the White House. I remain at DHS and truly don't know what comes beyond that." CBS News' Andy Triay contributed to this report.